Welcome to 2017! If you are like a lot of people I know, you are quite happy to usher in a new year, a new calendar, a new to-do list, and a fresh new start. You are ready to set new goals, dive into new projects, and accomplish things yet untold! 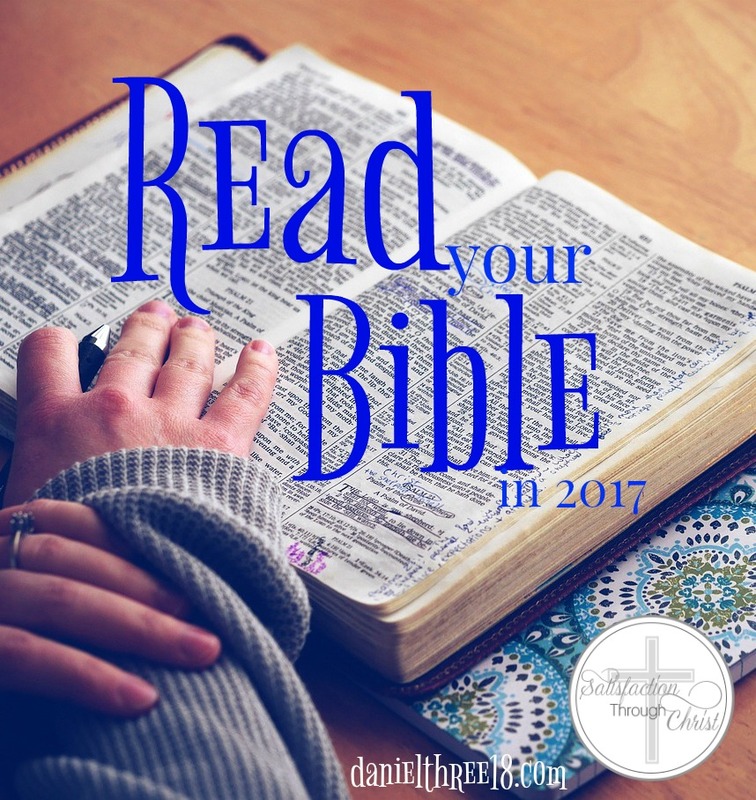 I hope one of your goals for 2017 is to read through your Bible, or at least make reading your Bible a consistent part of your daily routine. Don’t panic! Today is January 2 – it’s not too late to begin! Last year I started writing here at Satisfaction Through Christ by explaining why I add “reading my Bible” to my daily to-do list. I would love to state here and now that I 100% accomplished my goal to read through the Scriptures in 2016. But my 2016 was like a lot of others’, and, well…I didn’t. I read a lot of Scripture, and I thoroughly studied John, Philippians, and James. However, I did not read the whole canon. This year I have set a goal to accomplish that, and I have set what I think is a less intimidating goal! I am going to pause here and send you to One Hired Late in the Day to read about the importance of reading through Scripture daily. She has done a fantastic job and you should really read her article. Reading through the Scriptures in one year can be intimidating, especially if reading isn’t something you find enjoyable or easy. Reading any Scripture can be intimidating if you aren’t ready for it! That’s what I hope to alleviate today 🙂 Scripture is beautiful, helpful, encouraging, edifying, redeeming, refining, and comforting. Don’t be intimidated by God’s Word: be excited that He has given us a direct Word from Him that is easily accessible by anyone! The first thing you need to do for 2017 is prepare to read. First, pick a readable Scripture version. I suggest the ESV or the 1984 NIV. If you are ready for a little bit of a challenge, pick up the NASB. But choose a translation that is true to the original manuscripts and written in easy to understand English. If reading is really challenging for you, choose an audio version. You can listen while you follow along in your Bible, or while you are driving, washing dishes, rocking a baby, running on the treadmill, or mopping a floor. While these aren’t ideal situations, because your focus will be split, I understand that sometimes time is a factor, and it is better to listen to God’s Word than avoid it altogether. Second, you need to choose a plan for reading through the Bible. There are literally dozens of plans for reading through the Bible. You could simply do an internet search for one, but I am going to recommend a few and provide links for ease. This past year I attempted to use the Robert Murray M’Cheyne reading plan, which takes the reader through the Psalms and New Testament twice, and the Old Testament once. It is a lot of reading. I fell behind, never caught up, and gave up. I know that’s not a ringing endorsement, but if you are looking for a beefy reading plan, this is the one for you. This website offers multiple ways to print it out, and even divides it up over one or two years. Denny Burk has modified the M’Cheyne plan and included “catch up” days. 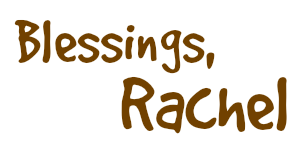 His website offers a word document and a pdf printable for you. Ligonier Ministries offers just about every other plan you can imagine! They have everything from one year plans to three year plans, a chronological plan (which is a FANTASTIC place to start if you’ve never read the whole Bible before), and a straight through Genesis-Revelation plan. This webpage is a list of all of their plans, a description, and links to print them out. Finally, blogger and author Tim Challies offers this five day a week plan, which takes you through the whole Bible in a year. He leaves the weekends free for “catching up” if you miss some reading time during the week. At the end of his article he also links to other reading plans, and he gives even more good reasons for making reading Scripture part of your daily routine. As a bonus, Mr. Challies says this particular plan can be sent to you daily as part of the ESV app (you have to log into the app and work through the settings to set it up, but this plan is in there). If you prefer to do your daily readings on a phone or tablet, this might be a great option for you. In an effort to be transparent, this is what I have chosen to do this year. I have chosen the “Legacy Reading Plan” from Ligonier Ministries. There are set books to read each month, but not set chapters or days (except three Psalms per week and one Proverb per day). The Psalms will be covered four times, and Proverbs 12 times. I feel like this plan will keep me focused on Scripture, but not overwhelm me with a “to read” checklist. So, if I get really into something and want to study it more deeply, I can without worrying that I have eight more chapters today. Also, if I’m up all night with a sick kid and skip a day, it’s not the end of the reading plan. Let me know what reading plan you choose! 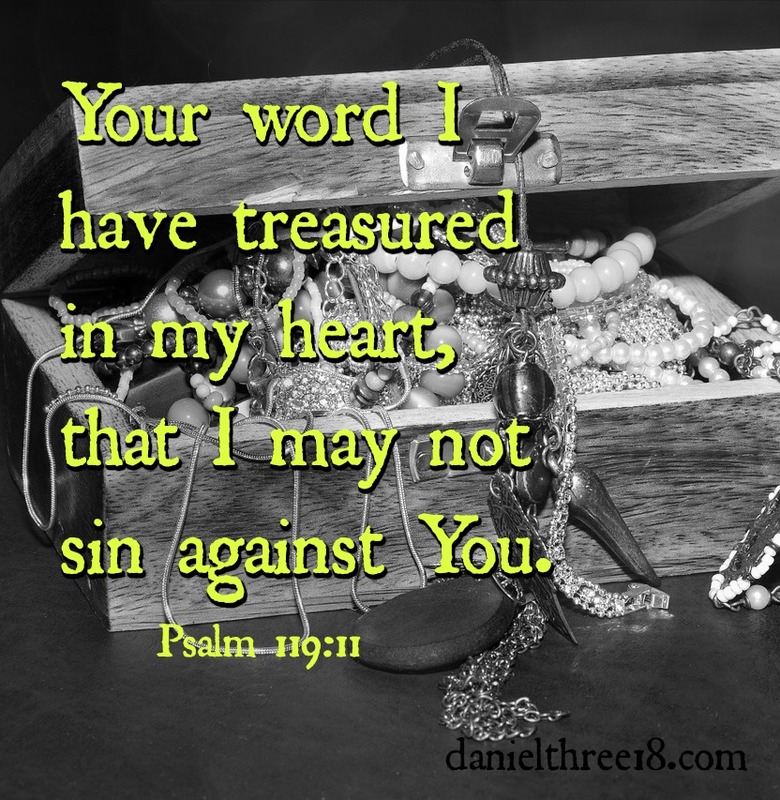 I’d love to encourage you throughout the year as your study God’s Word and hide it in your heart!